Looking for great Father's Day gift idea? DIY coasters with photos is a great one for a grandfather from the grandkids because it's cheap, easy and they can actually help (they can use a foam brush, right?)! 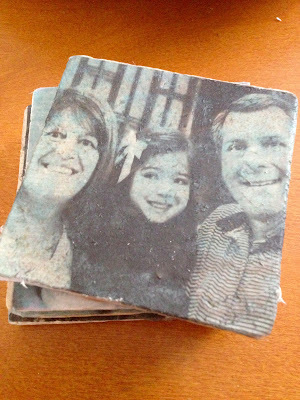 The best part is how personal you can make coasters with pictures. The first thing you need to do is crop your pictures down to about 4x4 on your computer. I found it's best to use rather close up images and photos that don't have a whole lot of small detail. You can use a program like iPhoto or even Power Point to do this. If there is any wording on the photo, flip the image so the words don't turn out backwards on your coasters. 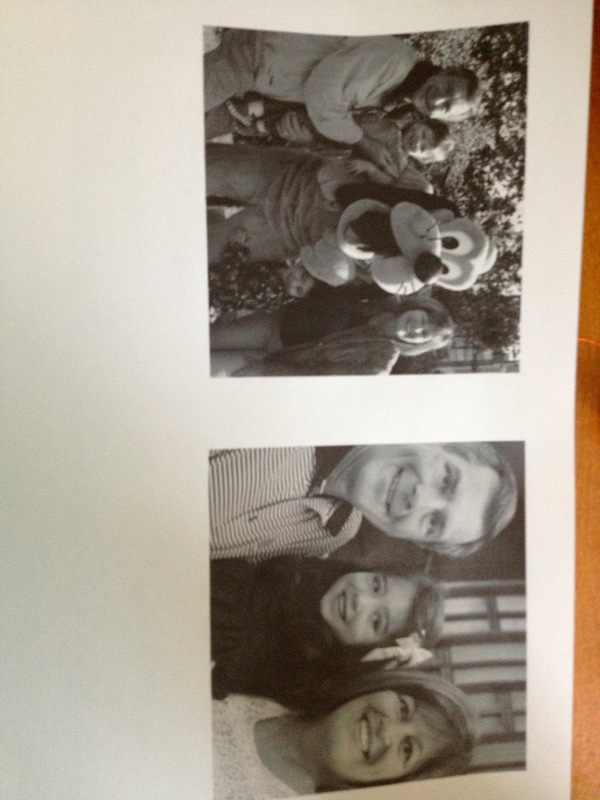 Print out the pictures onto plain old computer paper either on a laser or inkjet printer. If you use an inkjet, let the ink on the printed image dry for about 10-15 minutes before going to the next step. This should help avoid streaking which can cause images to have a green tint. 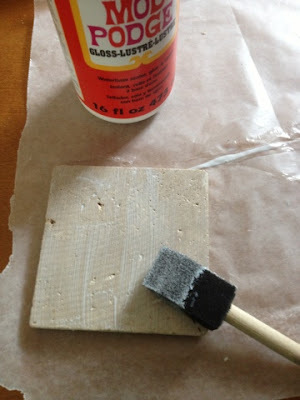 Using a foam brush, paint a layer of mod podge onto the tile. Let it dry. (If you are using the photo transfer medium you can skip this step). 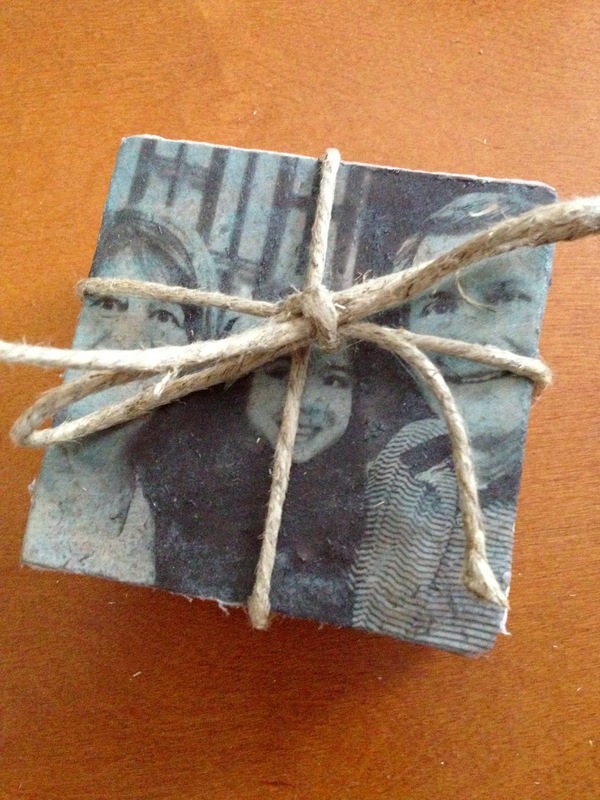 Once it's dry, paint a thick layer of mod podge or mod podge photo transfer all over the front of your photo. 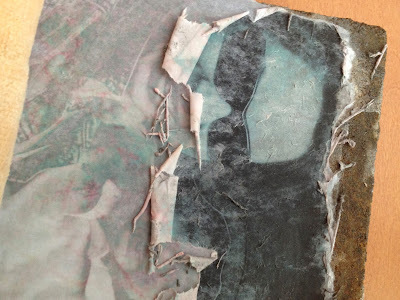 You should not be able to see the image through the mod podge. 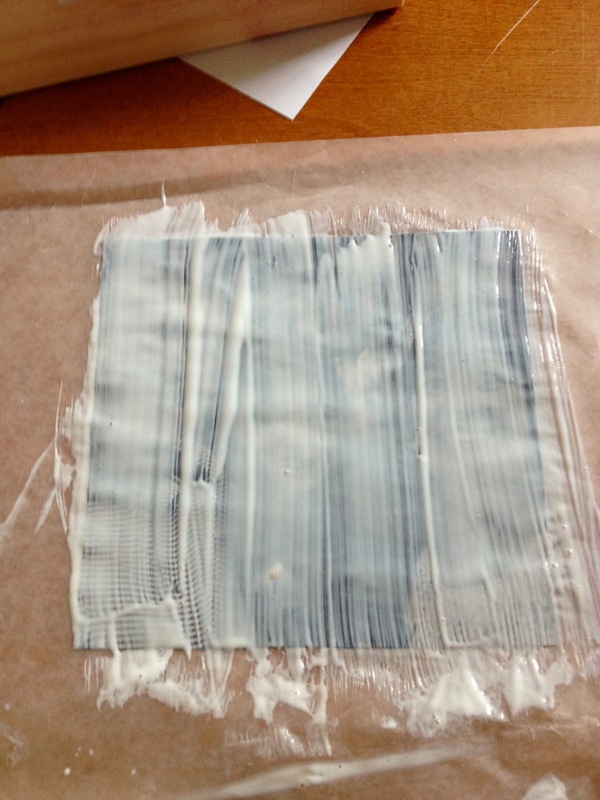 Just a tip, it's best to do this step on a piece of wax paper or a protected surface. Carefully peel the photo up and flip it, mod podge/face down onto the side of the tile that you covered in mod podge. 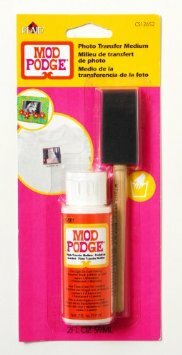 Use a credit card or your finger to carefully smooth out any bumps - but DON'T squeeze out all your mod podge. If some does come out the sides, just wipe it up with a rag. Now - this is the hard part - let it sit for 24 hours. I told you this was going to require a lot of patience. Over the next few hours you will begin to see your image appearing in a pink tone through the paper. 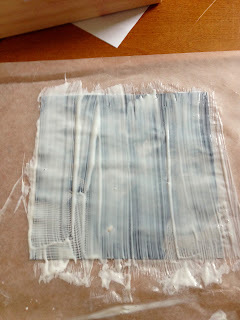 This is the mod podge curing. 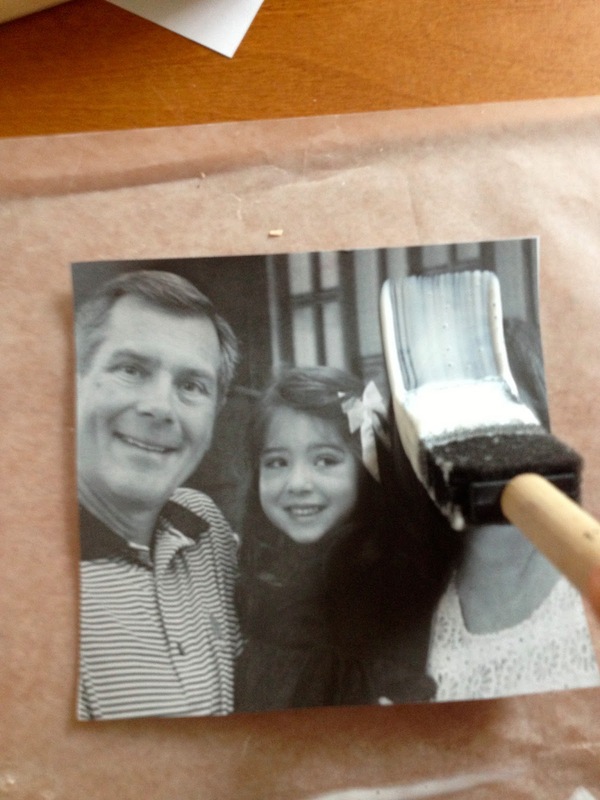 Once you've waited 24 hours, use a sponge or wet rag to dampen the paper photo. Using your finger gently rub in circle to remove the back of the paper. Your image will begin to appear. Don't rub too hard or too much or you'll actually remove your image from the transfer. As it dries it will lighten up a bit, but don't worry -- you can add a sealer later that will darken it up a bit. 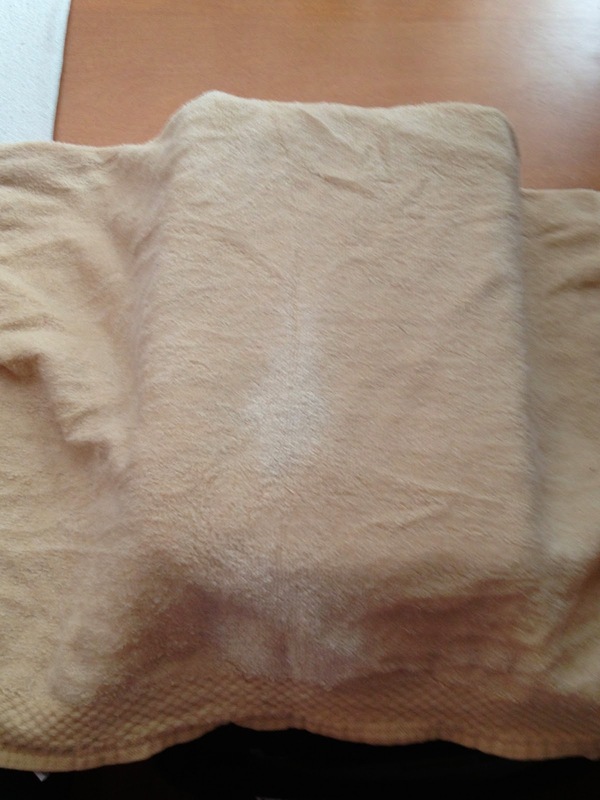 Once it's dry, if there are any white parts, re-wet them and remove the left over paper. Let your coaster dry completely, then use a piece of tape or lint roller to get up all the little fuzzy pieces of paper that may have been left behind. 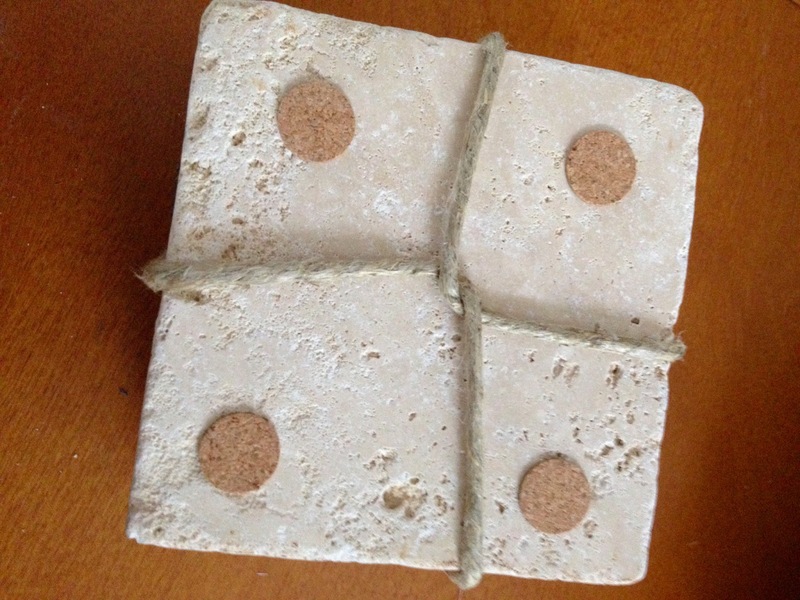 Seal your coasters with Mod Podge hard surface or another acrylic sealer. 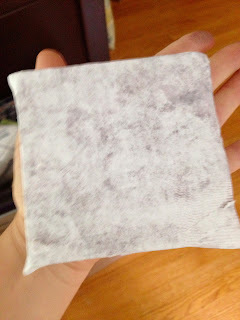 Put felt or cork pads on the back of the coaster to protect the surface of the table. Now, I promised a quickie version of this DIY coaster with photos project as well...so here goes. Gather all the same supplies and follow all the steps until the waiting 24 hours part. The awesome gals over at Shanty 2 Chic have discovered a version for all the impatient or last minute DIYers (myself included) in which instead of waiting 24 hours for the mod podge to cure, you put the tile in the oven. So before you start warm your oven to 170 degrees. 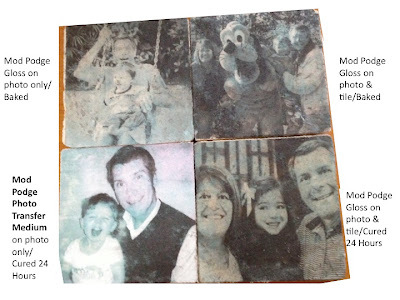 Immediately after pressing the photo onto the tile, put it in an oven for 20 minutes. When it comes out, let it cool and then follow the rest of the steps above to remove the paper and reveal your image. 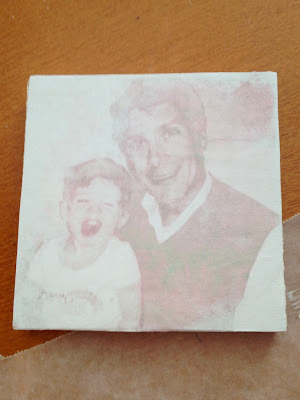 I used both the 24 hour and the oven techniques and both the mod podge gloss and mod podge photo transfer. You can see the varying results below. I think my favorite is actually the bottom right. I would like to try it next time on a laser printer to see how the photos may come out differently from an inkjet printer. I sure hope my father in law doesn't mind being the guinea pig because he's getting this stack from the kids this Father's Day. As always, thanks for stopping by 2IY. If you like what you see, what do you say about a pin, a "like" or a shout out?